Ryan Bolger joined the Fuller faculty in 2002 and is associate professor of church in contemporary culture in the School of Intercultural Studies. 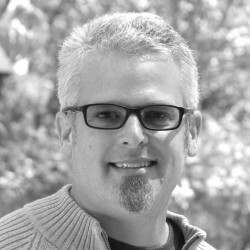 He teaches classes on missiology, contemporary culture, church planting, and church renewal. Bolger edited Gospel after Christendom: New Voices, New Cultures, New Expressions (2012), convening 28 authors throughout Western culture who initiated new churches within post-Christendom. He coauthored Emerging Churches: Creating Christian Communities in Postmodern Cultures (2005). His publications include chapters in Phyllis Tickle: Evangelist of the Future (2013), Mass Culture (2008), Worship That Changes Lives (2008), An Emergent Manifesto of Hope (2008), and Evangelical, Ecumenical, and Anabaptist Missiologies in Conversation (2006). He has also published articles in Missiology and the ANNALS of the American Academy of Political and Social Science. Study with Dr. Bolger in the School of Intercultural Studies.